Under heavy pressure from the international campaign for Boycott, Divestment and Sanctions following calls from the Palestinian prisoners’ movement and Palestinian organizations, G4S – the world’s largest security corporation – announced it had reached an agreement to sell off its Israeli subsidiary to the Israeli private equity company, FIMI on Friday, 2 December. G4S had earlier announced it planned to exit the market, widely attributed to the damage to its reputation caused by its contracts with the Israel Prison Service and related state security agencies. G4S is also a target for global campaigning because of the corporation’s involvement with youth incarceration and migrant detention in the United States, Canada, Australia and elsewhere. Organizations like Columbia Prison Divest, the Afrikan Black Coalition at the University of California, and Black Students United at Cornell University have played leading roles in building university and community boycott and divestment campaigns against G4S as a part of the prison-industrial complex. G4S was highlighted in the Black4Palestine statement as a key target of joint struggle. In addition, G4S is part of the system of deportation and detention that terrorizes migrant families in the U.S., Canada, and elsewhere. In the UK, Jimmy Mubenga died during a deportation flight as he was restrained by G4S guards. In addition, G4S is involved in privatized domestic policing in the United States, including in Charlotte, NC, where the corporation runs the transit police service, working hand in hand with the city police who took the life of Keith Scott. At Standing Rock, G4S is part of the array of private security corporations working for the Dakota Access Pipeline against the indigenous protest of water protectors that has drawn widespread solidarity and international support. In Palestine, G4S remains complicit in the ongoing violation of Palestinian rights, as it is a co-owner of Policity, a national Israeli police training center, along with Shikun and Binui, the largest Israeli real estate corporation and a settlement profiteer. This massive exit from the Israeli market is clearly a response to Palestinian and international pressure on the global security giant, evidencing the power of the call of Palestinian prisoners to force G4S out of the business of profiteering from the imprisonment and torture of Palestinians. 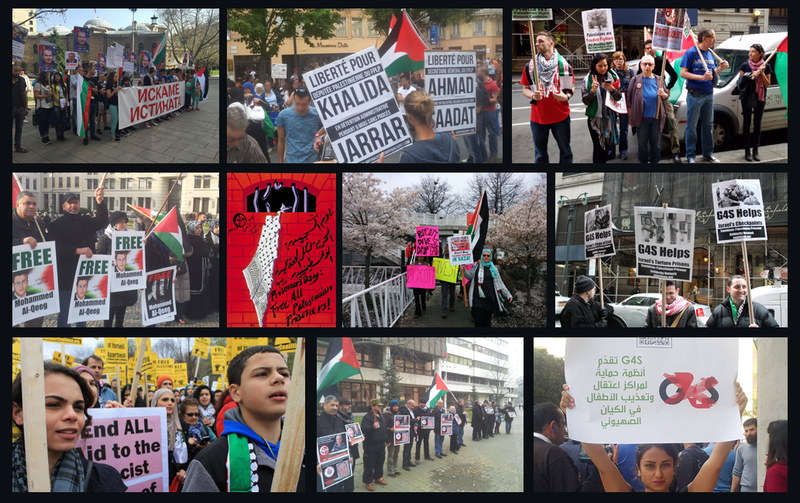 Samidoun Palestinian Prisoner Solidarity Network salutes all of the Palestinian, Arab, and international organizations and movements that have been organizing and struggling for years against the role of G4S in Palestine. The campaigns to boycott G4S have borne fruit after many years of campaigning and work. We also join with the Palestinian Boycott, Divestment and Sanctions National Committee to note that G4S’ complicity and profiteering from oppression remains a target for campaigning and action. G4S is, of course, not the only multinational corporation that has been profiting from the imprisonment of Palestinians. Hewlett Packard Enterprise (HPE) currently markets management and database software to the Israel Prison Service along with multiple other agencies and sectors of settler colonial repression. It is the target of a growing international boycott campaign. Today, we salute the Palestinian prisoners whose call for justice and struggle for freedom led to this achievement, and urge all of our movements to redouble our efforts to win their freedom, and the freedom of Palestinian people and land.